In the first Traveling Fearlessly post, I asked people to tell me what they wanted to know about traveling solo. Many of you wrote to ask about staying safe while traveling solo. Both men and women asked for this. 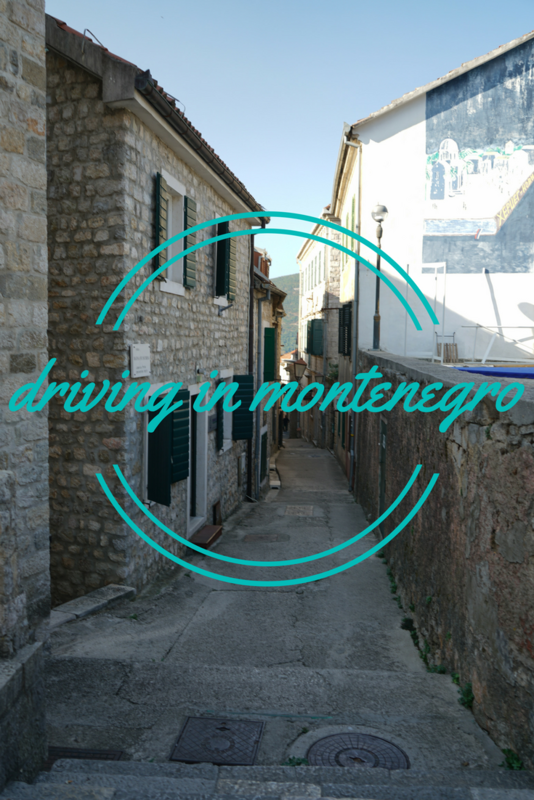 This post will cover my tips on staying safe while traveling solo. I have put every one of these into practice, and it has helped me feel safe on all my trips and nothing has happened to me. This is the simplest thing you can do while traveling. Appearing confident discourages people from picking you out as a potential victim. When you look confused, some evil people will want to prey on you, and you may let them because you aren’t confident. Plan how you will get from the airport to your hotel. Appearing confident will deter people from harassing you for a taxi at the airport. You will be confident if you know that you plan to take the train and where to get it from or if you do plan to take a taxi and know where the official taxi line is. If for some reason you cannot find your planned transportation, go to the information desk. They will help you find your way to the official everything! Research the area your hotel is located it. If you think the price is too good to be true, there may be a reason why. The neighborhood may not be safe or is dead quiet at night. Quiet may seem good, but not if you are coming back at night you may be alone. Having people around doesn’t guarantee safety, but it helps. Reviews may tell you this information. It may even be possible to find out whether or not the street is lit well at night in online reviews. This helps you to be confident! You can also research the sites you are visiting to know what frequently happens there. I know that a coworker had her passport stolen at the Rome Colosseum and I was extra cautious there. Ask the clerk to write down your hotel room number and not say it out loud. No one besides you and the hotel needs to know your room number. Most hotels in the U.S. do this now, but not always overseas. Keep an eye your bags. I have refused to let bellhops take my bags into the hotel if they are not in hotel uniform or just give me bad vibes. Don’t be afraid of appearing rude, you are protecting yourself and your belongings. Be confident! Always lock the door with the extra lock and the chain, if there is one. They make portable door stops with alarms that you may consider buying. I will be buying one after this trip to Egypt where the locks on two of my hotels only had push button locks. A regular doorstop can also work. Close the door and push the doorstop under the door. This will make it very hard to open the door. Keep your valuables locked in the in-room safe. If it won’t hold them, put them in the hotel safe. If your hotel has neither, make sure you lock your suitcases and take the keys with you. If you are worried about thieves slicing open your luggage, consider getting anti-theft luggage, such as Pacsafe, which is made with slash guard fabric. 6. Protecting your stuff out on the town Only take cash enough for the day. This way if your wallet is taken, you won’t have lost all your cash. Make sure you have copies of all your credit cards and passport in your luggage. I like to take photos and send them to myself via email. Don’t flash you money and credit cards around, as this will make you a target. Put away expensive camera gear when you are not using it. Once I am done taking photos, I put the camera in my bag. It is a pain, but I am less of a target this way. Do not wear expensive jewelry. It also makes you a target. Ladies, if you are carrying a handbag, carry it on the opposite side of the street so that it can’t be grabbed by a passing motorist. Do not carry anything in your pockets. This is something even I have to remember, as I like to carry my cell phone in my pocket. Men, carry your wallets in an inside jacket pocket or at least in a front pocket that you can keep your hand on. Keep your possessions in sight while eating out. When I travel alone, I take everything with me while going to the bathroom at restaurants. I tell the waiter, so they don’t think I have run off without paying the bill. Never tell a stranger you are traveling alone. This may make you a target. I have lied many times about a husband or friend that doesn’t exist. Never tell anyone where you are staying. Walk with confidence! Don’t spend too much time on the street looking at maps or your phone. People will know you are lost and may take advantage. Women, if a man comes and grabs your arm to take you into a shop, don’t be afraid to make a scene. Sometimes they are harmless but seem to think it is okay to touch Western women. Men, if women approach you in bars and seem too friendly, be aware. This seems to be a ploy in some countries where prostitution is popular. Both women and men, need to watch their drinks while out. This goes for non-alcoholic drinks too. If you leave it for any amount of time, do not drink it! It could be drugged leaving you a target for violence or being mugged. Don’t drink to much either. If you are going out at night, know how to get back to your hotel and don’t stay out late. If you are staying in a hostel, go with a group or, at least, tell the hostel what time you should be back. This way someone will know when to expect you. I am not sure if a hotel would do this, so I frequently check-in with family back home while traveling. Most importantly, trust your instinct, leave the area you are in if you are not comfortable. Don’t stand out. Don’t wear white sneakers and logo t-shirts. I try not to carry a backpack unless it is absolutely necessary. I carry a regular handbag so that I don’t look like a tourist. If the locals wear mostly black, wear black or neutral colors. In Paris, I wore a scarf every day. In the Middle East, I stand out no matter what, but I covered myself appropriately and did not draw attention to myself by being loud. I have learned that knowing some of the local language gains you respect and that alone may deter the petty thief or harasser. It also helps if you need help. It may take you a day or two to be comfortable doing this, but make the effort to say please and thank you in the local language. This may sound like I am being too cautious, but it is part of being prepared. Give your family or friends your travel plans. Know where your local Embassy is and what their phone number is. If you are American, you can register with the Embassy in advance of your travels, so they know you are there. Know where the hospital/pharmacy is if you get sick frequently. This way if something does happen, you know what you can do. Be confident! Traveling solo does not have to be scary and is very fun. 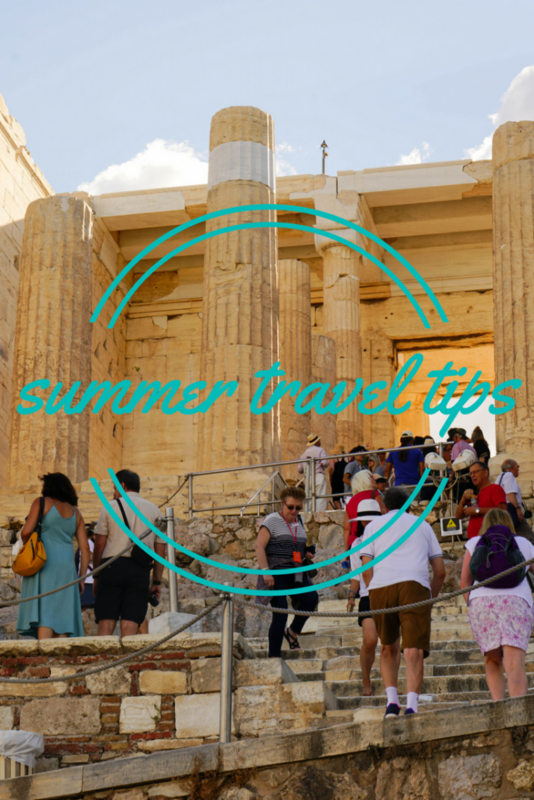 What tips do you have for staying safe while traveling? Share with us in the comments. 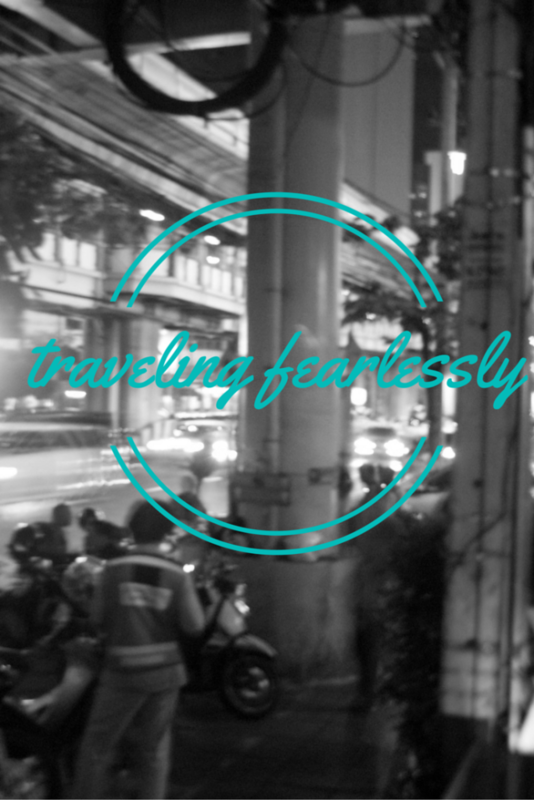 Stay tuned for next month’s Traveling Fearlessly post on the last Friday of the month. What do you want to read about? Some links may be affiliate links and earn me a small commission at no cost to you! This is my brain on jet lag. It is solely focused on sleep right now, and all it can think about is my bed. I apologize in advance if this post is not coherent. I got back to Qatar last Thursday night, and I am still fighting jet lag. They say, whoever they are, that it takes a day to recover from jet lag for every hour time zone you cross. For me, this means I should be back to normal nine days from Thursday, and I am not going to try to figure out what day that is now. Which isn’t great since I went back to work yesterday. I will say that this trip’s jet lag is much better than I have had in Christmas’ past. Everyone who travels long distances has their own ways of coping with jet lag and not everything works the same for everyone. 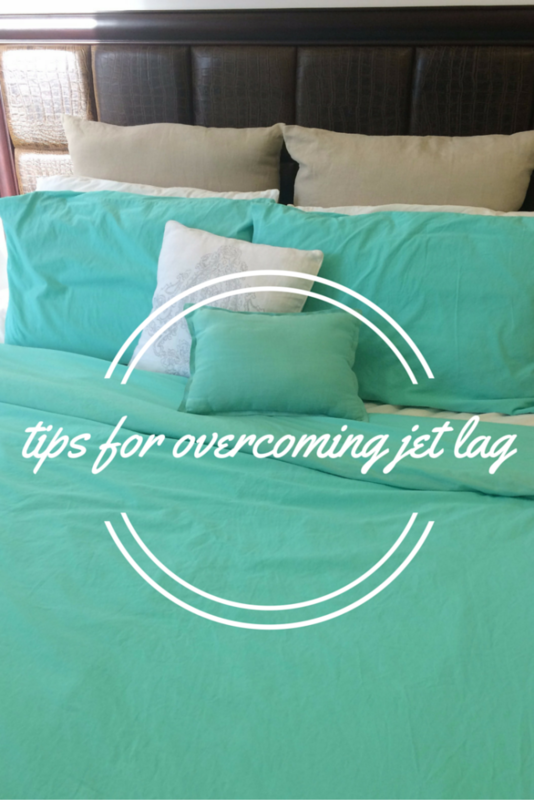 However, maybe my tips for overcoming jet lag will help you out. 1. Hydrate – I have mentioned this before in my My Top 5 Tips for International Flights, but I cannot say it enough. Hydrate, hydrate, hydrate. I don’t just mean during the flight either. You should start hydration the day before you fly. This way you aren’t dehydrated on the plane. 2. Time Zone Check – Check the time zone you are going to. When should you be asleep there? Will it be drastically different, like my time zone change from Dallas to Doha? This will help you plan your sleeping schedule. If your time zone is only a few hours difference, maybe you can stay on your regular schedule and adjust your plans accordingly. 3. Sleep on the Plane – But not too much! Someone once recommended to me to sleep as much as possible on the plane, but this could lead to sleep failure if you are sleeping when you should be awake in the time zone you are traveling to. When I fly back from Dallas to Doha, I only allow myself to sleep till about noon Qatar time. This helps me to be tired enough to not only fall asleep but to stay asleep in Qatar. 4. Avoid protein on planes – This is totally my suggestion and may have no scientific evidence to prove me right or wrong, but I like it. I did this on my last trip home, both coming and going, with the exception of eggs for breakfast. Protein gives you energy and can keep you awake. For me, it also leads to interrupted sleep on the plane because I usually go to sleep right after eating on the plane and the digestive process wakes me up or gives me heartburn. 5. Noise Cancelling Headphones – Noise actually makes you more tired and wearing noise-canceling headphones can help combat that. It also helps lessen the noise when you have a screaming baby on your long-haul flight! I use these Bose In-Ear Headphones, which are a bit pricey, but they are very effective and comfortable. I bought my parents and my niece these Sony ones that my Dad said were great too. Either way, any noise reduction you can get will help curb the tiredness from flying. 1. Continue to Hydrate – Your body works best when hydrated. Our bodies are mostly made up of water, and it needs it to function properly. 2. Get some mid-day Sun – Getting mid-day sun has helped me tremendously in getting over jet lag. It says to your body, “Hey, its daytime sleepy head!” Basically, it tells your internal clock to reset itself. I usually try to go outside around noon for about 10 to 15 minutes for the first couple of days. 3. Nap – This may seem contrary to the goal, but you still have to function in your current time zone, and you may need a nap to do so. Just make sure to set an alarm or you will sleep for three hours! I even take the nap with low lights on to help encourage me to get up. 4. Stay up late – This may seem like a cruel impossible task. If you are the kind of jet-lagged person that has trouble falling asleep, but not staying asleep, this may not apply to you. However, if you are like me and could fall asleep in the shower with jet lag, then staying up later than you normally helps me to stay asleep. 5. Don’t get out of bed – If you wake in the night, do not get out of bed. Lay in bed with the lights off. I used to get up and turn on the lights. Worst mistake I could have ever made. You are telling your body clock that it is daytime, and it is time to get up. Usually, I fall back to sleep in about 10 to 15 minutes. Whatever you do, don’t look at your phone or turn on the tv. Jet lag is not fun, and I would be lying if I said I had no jet lag from this trip even after I have done all of these things, but this is the least jet lag I have had from a transatlantic flight. My daytime sleepiness is tolerable, and I haven’t had lots of nausea like I usually do. I used to wake up about 4 hours after I went to bed and would be awake for 3-4 hours and go back to sleep about an hour before I needed to be up! Now, I am sleeping from about 10 or 11 pm, waking about every two hours and going back to sleep and waking up around 5 am. I am very happy with that. No, this does not count the naps during the day, and I need to be better about not taking such long ones. Since yesterday was a work day, I did not get a nap. I have had different jet lag symptoms this time, though, not sure if that is the right phrase. My appetite is completely gone. I think all I ate on Friday was a tortilla with butter, an apple and some party mix. My dreams have been really vivid and strange. Last night I got nauseated while eating and decided it wasn’t worth continuing to eat. I still have my usual lack of concentration and brain fog. Let’s hope this post is making sense! How do you cope with jet lag? Any tips or tricks? Share in the comments!